Mishaal Ashemimry is another young Saudi pride. She has the honor of being the first Saudi woman to join the renowned agency NASA. NASA is a US space agency. Joining it is indeed a great achievement. Mishaal has made us all proud. Her commendable victory was recognized by the US Central Command by posting a tweet. They also used the platform of Twitter for the very purpose. Her journey for being an aerospace engineer wasn’t easy, she had to pass by a lot of hurdles. Yet she remained motivated because she wanted to fulfill her dreams. In an interview, she told that when she was only 6 years old, she would look at the sky and would get inspiration. She got fascinated by space when she would stare at the stars. Her small eyes held big dreams, the dream of becoming an aerospace engineer, the dream of developing rockets and contributing towards vehicles used in space. As a young girl, when she would look at the sky from the Unayzah desert, her determination for following her dreams would fasten. Mishaal Ashemimry has a great academic profile. She holds a Bachelor’s degree from Florida Institute of Technology which is located in Melbourne, Florida. She graduated from there with a Bachelor of Science, holding Degrees in Aerospace Engineering and Applied Mathematics. Her educational majors were: rocket designing, nuclear thermal propulsion and experimental and analytical aerodynamics. She then did her masters in science and held a degree in Aerospace engineering from the Florida Institute of Technology. So she holds two Bachelor degrees and one master’s degree in Aerospace engineering. She also worked as a research assistant at NASA’s Marshall Space Flight Center Project. The project was centered on nuclear thermal propulsion. There she was able to explore her skills and polish them up. Working there was a great achievement that helped her boost confidence and learning. She has gained experience in aerodynamics, wind tunnel testing, space vehicle designing, predictive simulation and analysis and rocket stage-separation analysis, with a strong focus on computational tool development. She had also worked with Raytheon Missile System. There she served in their department of Aerodynamics. During her appointment there, she worked on 22 rocket programs. 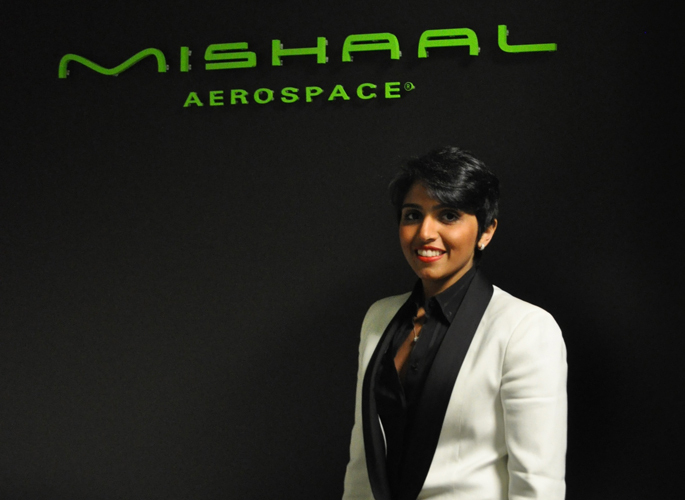 Mishaal, a young and passionate aerospace engineer, is now holding a post of CEO at MISHAAL Aerospace which is based in Miami, Fla. The organization aims at sending small satellites into space. The organization is working on M-Rocket Series which are economically viable space vehicles which shall be launched into space. Young lady, we are proud of you!